Add color and fun to your mail with Vintage Minnie Mouse return address labels. 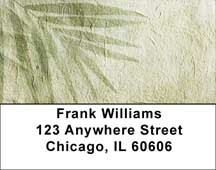 Available in sets of 210 sheeted, self-sticking labels; size 2-1/2" x 7/8". 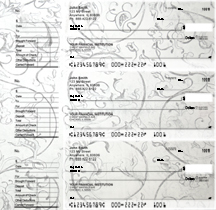 Vintage Hat Personal Checks - These checks are an elegant reminder of the grace and beauty of a woman. This beautiful hat and simple image depicts, with stunning beauty, the soft and refined side of this young lady. 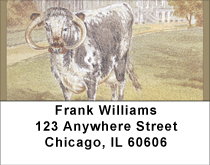 Livestock Address Labels - For those that love all things vintage, western, and bulls these are the perfect Address Labels for you! Livestock with big horns will apply to the cowboy within. Livestock Personal Checks - For those that love all things vintage, western, and bulls these are the perfect personal checks for you! Livestock with big horns will apply to the cowboy within.